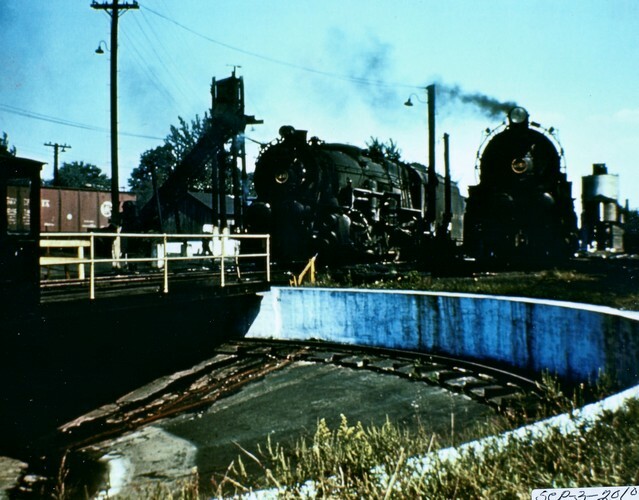 The Roundhouse was designed to turn a locomotive coming from the Coal Trestle (after unloading) around 180 degrees so that it could make the trip back to Pennsylvania. It could accommodate one locomotive at a time using huge electric motors. The turntable itself was round and rotated on a single track below the surface. 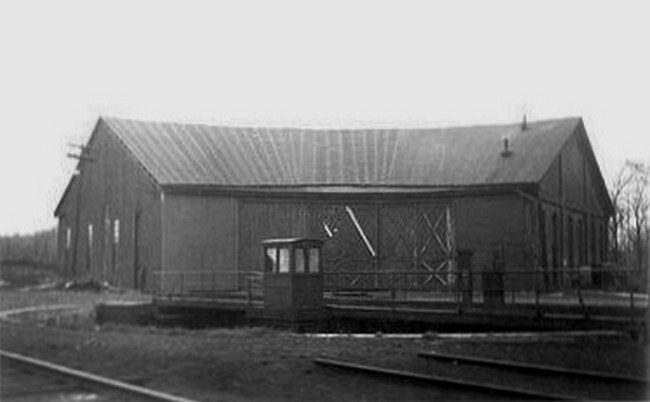 The Roundhouse was located just west of where the Great Lakes Marine Works building is now near the Franklin House. 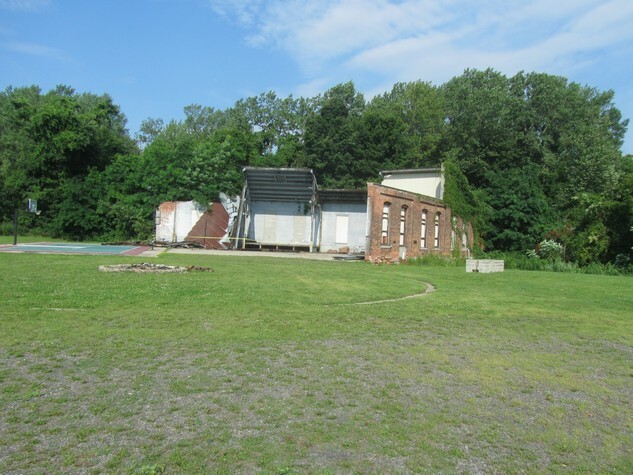 The Roundhouse has not been used since 1967 after the Pennsylvania Railroad stopped delivering coal to the Coal Trestle in Sodus Point. Locomotive approaching the roundhouse to be turned around. Here we see a photo of Henry Zerbe with his initials (HPZ) on the remains of the roundhouse. Henry worked for 34 years on the Pennsylvania Railroad; most of it in Sodus Point. Henry is recognized as this area’s leading expert on the railroad and is well liked and respected by those who know him. Photo by Edith Farrington. 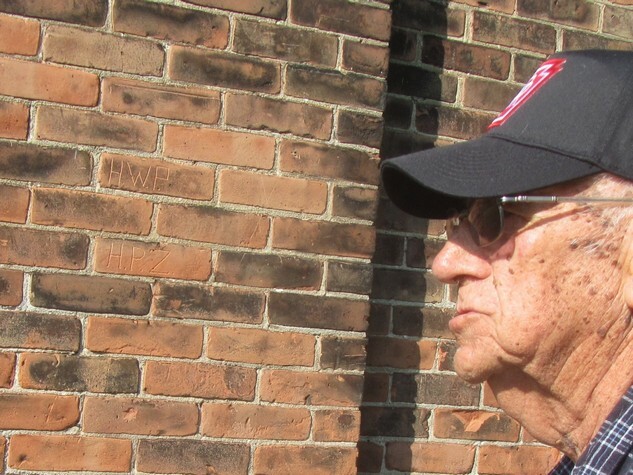 In case you may wonder whose initials (HWP) are on the Roundhouse brick wall two rows above Henry Zerbe’s, they belong to my wife’s father, Harold Willard Pennycoff, otherwise know as “Penny”. Penny and Hank were contemporary Engineers and I believe they carved those initials at the same time. 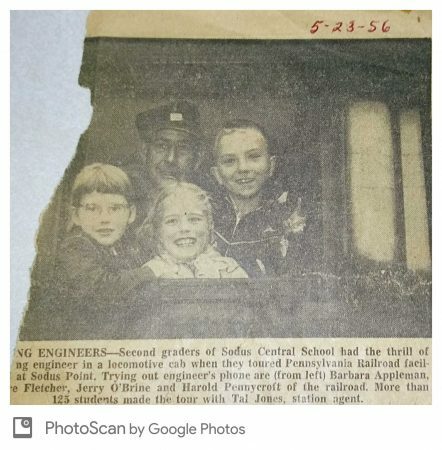 Harold was also a Sodus Point Volunteer Fireman and his name shows on a plaque in front of the Firehouse.